EGC: Can we meet you? 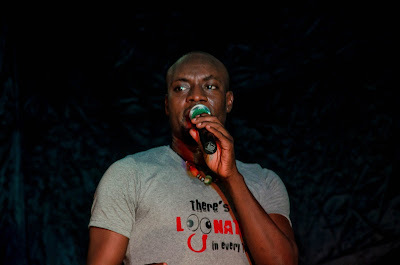 BASH: I am Bash S. Amuneni- an Architect by training, now a Banker with 9 years’ experience, an essayist and also Poet. I am from Nasarawa State with a very cerebral experience of life. I love adventure and also love to travel. I am known more as a Poet. EGC: Tell us about your journey into Poetry and what has sustained you? BASH: I only know I have been writing Poetry since 1996 after reading some poems my elder brother wrote. I liked the flow and wanted to copy him. I also stumbled on a hymns book in the house and I fell in love with the structure of the hymns. In between, in Secondary school, I always loved literature classes and I remember being totally lost in the poem “Africa” by David Diop when I was in Junior Secondary School. That's where it started for me, I think. What has sustained me would be just the pure love for Poetry and its ability to influence. EGC: What is your inspiration? BASH: Life is my inspiration…the human condition, love, everything around us. BASH: Oh that...honestly, I want to forget about that experience quickly because it was quite weird. Poetry doesn’t thrive on the pedestal it is delivered on. Poetry thrives in the heart. That is the most important thing. I have never been a fan of Government’s time wasting, administrative issues and bottle necks. The process should have been better, but for the drama before; the body language and ego trips here and there. Some people actually thought they were doing Poetry a favour by including it in the Inauguration program. Fact it, Poets deserve more respect. In all, it was ok, a good experience and I learnt from it. EGC: Would you say you are satisfied so far with president Buhari or not? BASH: I can’t say I am satisfied, because the work of Governance never ends. It is a constant and never ending job of fixing and unfixing. So far, The Government has gotten it right in some aspects and has not in some areas. The work continues and we should give them our full support. EGC: You are a Performance Poet and a Page Poet, what would you say is the similarity and difference? BASH: The similarities would be the fact that, it is Poetry which is first a means for self-expression, condensed in words - words that carry with them the intent of interaction with the reader and a certain musicality that excites the senses in a very subtle and maybe unconscious way. Poetry is purely and foremost a medium of an individual’s means of conscious thought, stirred in a mix of true emotions that gains more value through the right use of words. That aspect has to be settled within, before these words may transcend off the page to something much more like spoken word Poetry. EGC: Who are the Poets out there that challenge you and makes you want to do better than them? BASH: Challenge may not be the word I like to use and the idea of trying to be better than another Poet is just false. Poetry is first “self” expression, unique to the personality, experience and world view of the Poet. You can never experience the world the way another person has experienced it. Experience is personal. Therefore, you can never express Poetry like another person. I would like to say I admire some Poets like Tade Ipadeola, Niran Okewole, Dami Ajayi, Richard Ntiru, Kwesi Brew, Odia Ofiemun, Lola Shoneyin, Shittu Fowora, Donna Ogunaike, Leon Echa, Tope Sadiq (Torpedo Mascaw), Sage Hassan, Su'uede Agema, Dike Chukwumerije and so many more. 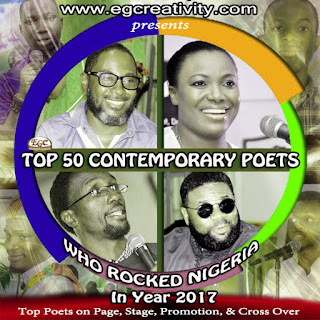 EGC: Take a look at the Poetry scene in Nigeria, what do you think we can do to get more recognition or become mainstream entertainment? BASH: No craft can stand alone. It needs an industry. It also needs serious media support to be stronger. The nearest craft to Poetry we can take a cue from in terms of set-up maybe comedy- which basically is an individual sharing his thoughts on a stage to a ready audience. Now, comedy is successful because the industry set up works and this took some time to achieve. The comedians always support each other and they have serious support from the media too. If Poetry adopts something similar in terms of a model, it would thrive better. The question is "how do we Poets see ourselves" and how ready are we to engender an industry? EGC: You are an architect and a banker, two well-paying professions; why go into Poetry after attaining such status? 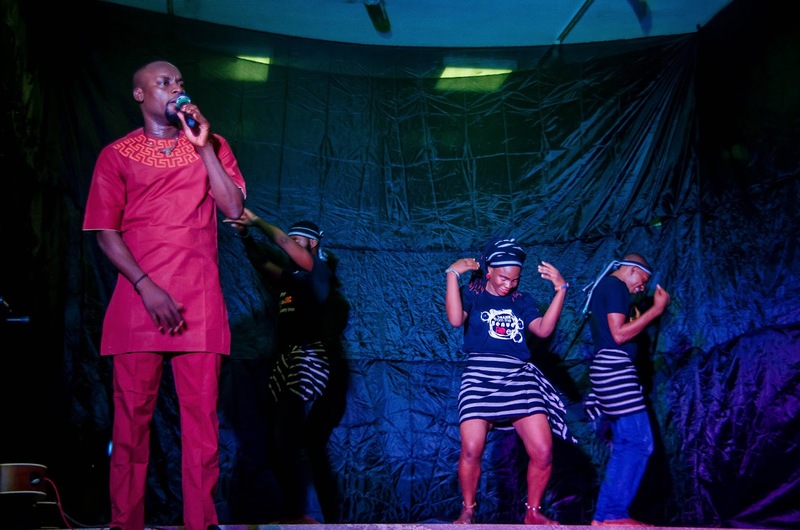 EGC: Can you compare the Poetry scene in Abuja and Lagos? What are the similarities and differences? BASH: The Poetry scene in Abuja is very vibrant. 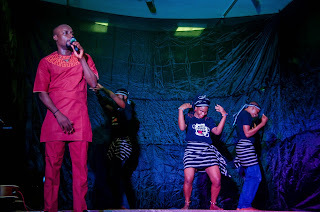 We have Freedom Hall Abuja, which has monthly events which showcases Alternative Music and Poetry. A typical Freedom Hall night has about 150 people in attendance. Freedom hall Abuja has had sponsors like Airtel, Startimes and Barcelona Hotel. We also have the Abuja Literary Society (ALS) that has its Open Mic at least twice a month alongside the book club and book jam all within a month. These events are held at various locations like Salamander Café, Transcorp Hilton and Sandralia Hotel... We have Night of the Spoken Word curated by Dike Chukwumerije, and other events. We have the radio stations and TV stations supporting us as well. The similarities would be the fact that we have lovers of this art form in both cities. A difference would be the turn out. I am thinking the turn out in Abuja is better. I do not know why. It should have been the reverse but it is how it is now from my own observation. 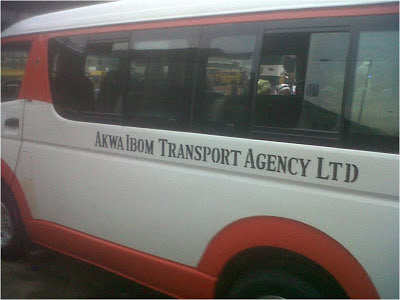 It may just be that people in Lagos are more distracted with size of the city and the dynamics of life there. 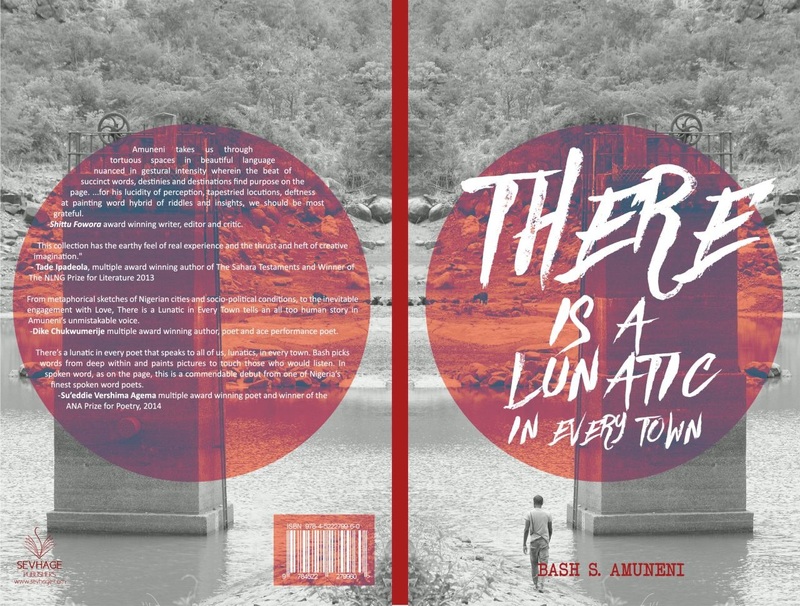 EGC: Your book is titled “There is a Lunatic in Every town”; what inspired that title? BASH: In 2012 or 2013, I was travelling back to my University in Minna and we were passing through Lafia town in Nasarawa State. I noticed the very bold ‘do not urinate here’ inscription on a broken fence or wall and right there someone was almost tracing the letters of the warning line with his urine. It occurred to me that we are just a collection of crazies- from the people or person that painted the warning sign on a broken fence and the other guy bathing the fence in the shame of warm urine. There on, I wrote the poem-Lunatics on the loose. 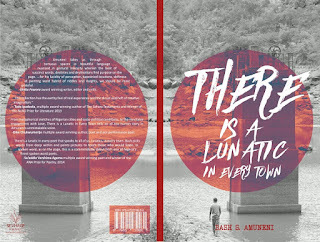 I further adjusted the title to There is a lunatic in every town. I left the poem unfinished for many years. Then, in 2015 I decided to finish it properly and perform it as a spoken word piece. The first time I did, it was a massive hit with the audience. The phrase never left them. So, I thought it would be nice to adopt it as the title for my debut collection of poems. 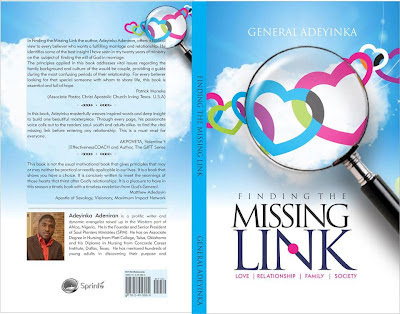 EGC: How has the reception of the book been so far? EGC: What is your marketing/distribution strategy for the book? BASH: My publishers are handling most of that. However, I know that there would be a lot of book readings in different states and cities around the country. an Architect, and a Poet? BASH: As a banker, I hope to get to the peak of my career, employ everything I have learnt herein and infuse it into the industry of Poetry. As an Architect, I really dream of owning a full Architectural firm, employing a lot of young people and delivering excellence in design. For Poetry, on the short term, I am collaborating in putting together the first Abuja International Poetry Festival in November, 2017. Freedom Hall Abuja continues monthly and in the long term, I hope to put up my sophomore spoken word album in 2018 which should have some very interesting collaboration. upcoming Poets to do if they want Poetry to pay bills for them? BASH: Read, study and write continuously - in no particular order (Laughs). Then, study marketing, learn to market yourself and product, stay humble and be emotionally intelligent. Wow! This is an Eye-opener, educating too and inspiring.